Shelties are often met with cries of "Look! A mini Lassie!" because they resemble miniature Rough Collies. But Shelties come from a different lineage altogether, with Collie crosses only in the last 100 years. Take a look at our fascinating Sheltie History, tracing the Shetland Sheepdog's evolution from its herding dog origins in Scandinavia. We all know that Shetland Sheepdogs come from the Shetland Islands of Scotland. But the complete Sheltie history is lesser known and makes for an intriguing story. The mostl likely explanation of the Sheltie's origins is a Scandinavian herding dog, perhaps a Spitz breed similar to the modern Icelandic Sheepdog. Their thick double coats made them well equipped to deal with harsh winters, and they were excellent working dog candidates for the islands of Scotland. Once imported into the Shetland Islands in the 1700s, the Scandinavian Spitz breed was extensively crossed with mainland working collies. These included the Border Collie and Rough Collie, along with other breeds like the now extinct Greenland Yakki, the King Charles Spaniel and the Pomeranian. 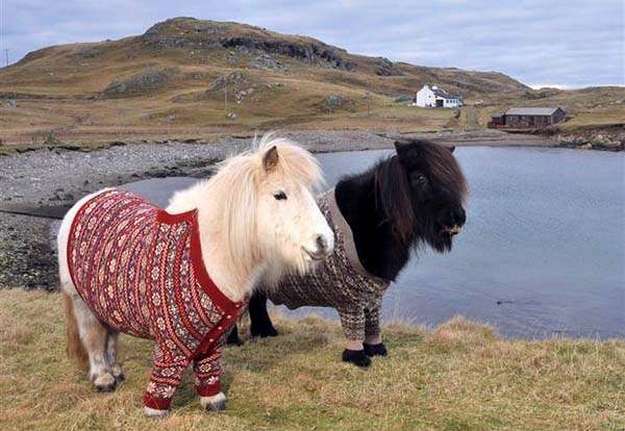 The Shetland Islands are famous for their miniature animals, including the Shetland Pony which stands at around one meter tall. Shetland Sheep are also smaller and lighter than their mainland counterparts. This is because the islands are small and with limited food and habitat, so natural selection saw smaller animals survive better over the generations. As a direct result, Shetland farmers artificially selected for smaller Shetland Sheepdogs to watch their wee cattle. And so came the evolution of the "Toonie". By the 1800s, the people of the Shetland Islands found that they could make money by selling the cute, fluffy Toonie breed to rich tourists. 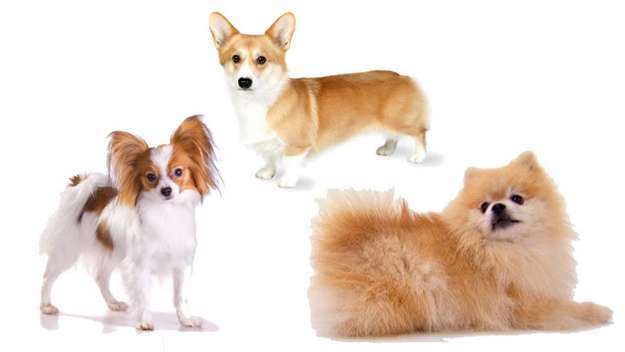 To increase the appeal, they crossed their working Toonies with Pomeranians and possibly even Papillions and Corgis to achieve even smaller dogs that would make even cuter pets. By 1900, the breeders of the Shetland Islands began to realize that the original working dog breed was disappearing. So they retraced their steps and reintroduced Collie crosses, sometimes even with show Collies. 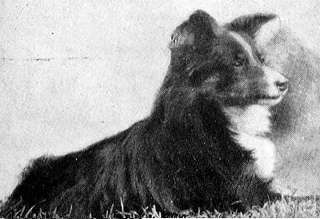 The new lines became known as Shetland Collies and a Sheltie breed standard was accepted by the Kennel Club in 1911. The dog pictured below is Chestnut Rainbow, born ~1922, thought to be the ancestor of almost all modern American Shelties. But then things got political. Collie breeders began shunning the new Shetland Collies as "little mongrels" and calling for greater distinction between them and Rough Collies. 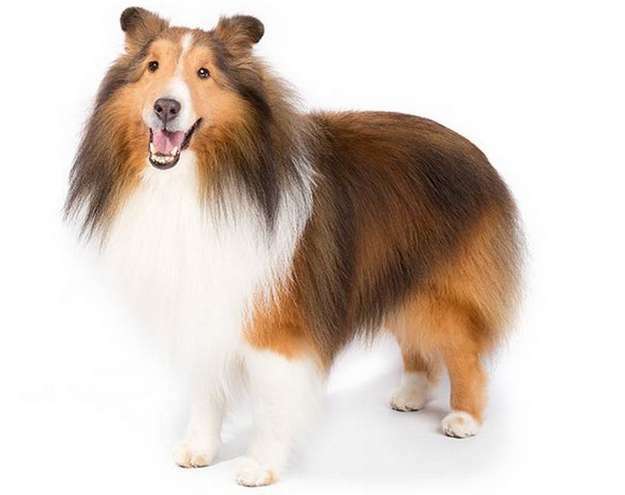 The Kennel Club quickly changed the breed name to Shetland Sheepdogs, even though the modern Sheltie breed is so evidently highly influenced by Rough Collie crosses. 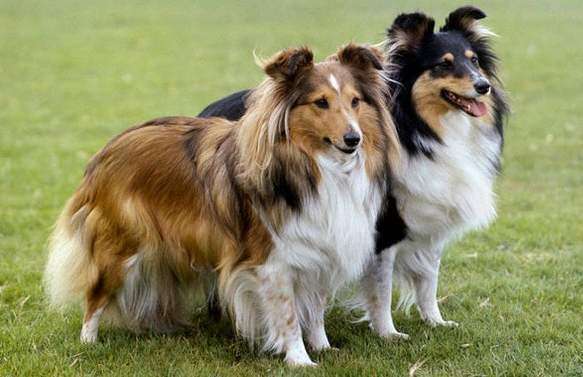 Nonetheless, this process went on to define the modern day standard which describes the Sheltie breed's ideal dimensions, colors, gait and temperament. To learn more, take a look at the modern Shetland Sheepdog breed standard.